VA is fond of artifices. VA forms are such. Here is a lovely example that proposes to collect and collate a PTSD folder for knowledgeable souls in aid of their medical profession. One will promptly notice there is no summary section for the necessary diagnosis that PTSD was, or was not, related to service. This is a glaring shortcoming I have been sounding the alarm over for years since these “develop to deny” Disability Benefits Questionnaire (DBQ) forms were first touted as the Veterans Benefits Management System (VBMS) talisman that would lead us bravely into the 21st Century of the Fully Developed Claim (FDC). Nothing could be further from the truth. The accompanying VHA Directive 2013-002 below, clearly states a private physician can fill it out. It also directs VA’s doctors to “reach out” to patients and try to be Veteran-centric (a good buzzword like self-actualization). 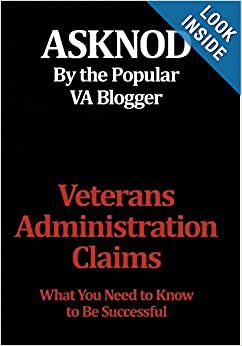 Again, full well knowing that no DBQ has an area to discuss etiology, it is nothing more than a glorified C&P that VA doesn’t even have to pay for. It does not, however, fill the important gap that a nexus letter does. VA hopes you’ll just let them fill in that nexus blank. Remember? This is a fully developed claim. All the rater has to do is give the thumbs up or down. If you somehow forget to include the third leg of the Caluza/Shedden/Hickson triangle, VA will be way happy to tie up that loose end. That’s the whole idea and everyone seems to be marching in lockstep including our brightest NOVA attorneys. To add insult to injury, a private psychiatrist’s diagnosis, let alone a nexus letter tying it to a stressor in service, is meaningless. 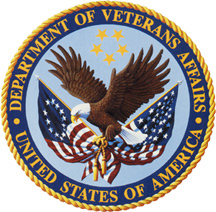 VA’s 2010 regulations explicitly order the Veterans Health Administration (VHA) to accomplish the C&P. The private nexus is merely an annoying side show that has little bearing on what the VA decides. The Veterans Benefits Administration (VBA) is busy trying to implement the new VBMS and needs standardization in documentation. Hence we now have new documents (21-0958, 3288, 526 EZ etc.) that purport to do so. Again, mere artifices as none are designed to do more than develop to deny. This, in turn merely moves the claim to a different geographical locale to mildew for 3 or 4 years. While I admire VA’s tenacity and Under Secretary Brig. Gen. Allison Hickey’s valiant attempts to corral this backlog, bragging rights are not going to accrue to the VBA if the problem is unceremoniously dumped over into 014’s (Board of Veterans Appeals) lap. At any rate, read and heed what VA will be looking at re PTSD. It is not a cheat sheet- nor was it published as such- but you, the Veteran, will probably not be able to access this document in your VISTA records via the ROI as it will be restricted. 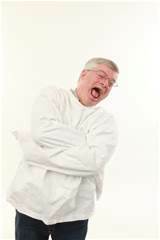 Psychiatrists don’t cotton to you seeing what kind of hooey they wrote about you. Hey, you might get mad and drop by his/her house for a thoughtful conversation. Can’t have that, now can we? In the near future, expect to see another box on the document asking/confirming that the patient’s Veteran’s guns should be/have been removed from the home. 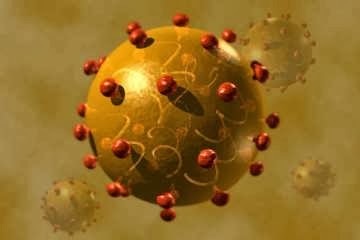 This entry was posted in PTSD, VA Health Care, VA Medical Mysteries Explained, Veterans Law and tagged ASKNOD BOOK, asknod.org, asknod@wordpress.com, Disabled Veteran, DIY vA Claims, Gulf War Claims Help, Gulf War PTSD, Gulf War PTSD Claims, Gulf War Vets, Gulf War Vets Help, Korean War Vets Help, News from vA, PTSD, Service Connection, VA claims, vA CLAIMS FOR PTSD, Veterans Benefits, Veterans claims help, Vietnam Veterans Claims Help.. Bookmark the permalink. My, my…..look at all the choices you get for mental health and stressor issues. This form could very well be mixed up with the SAT test. This past January, in a conversation with a senior rater, I was told that a private psychologist’s DBQ was the deciding factor in the TDIU rating of the vet. Go figure!